Hello Michael and welcome as the very first Reaktor builder to be interviewed at ADSR / Reaktor Tutorials ! 1 – So, in order to introduce you to our readers, I’ll start by asking you where are you from and what was your first encounter with electronic music ? I’m from Canton, Ohio, near Cleveland and Akron. I grew up making music, starting from the age of three. I listened to a lot of electronic music starting in early grade school. It was mainly Big Beat or Trip-hop type stuff, like Chemical Brothers, Massive Attack, Moby, and that sort of thing. In sixth grade, I got a copy of FL Studio (then called Fruity Loops). I was mainly making a lot of Jungle/DnB music, as I was a drummer and was obsessed with the fast tempos and complicated rhythms. In seventh grade, Radiohead put out Kid A, which really kicked open the doors for me as a listener. I ended up chasing down as many albums from Warp Records as I could find in Ohio, and got heavily into Squarepusher, Autechre, and Aphex Twin. That was really what got me into pursuing electronic music as a career. 2 – How did you discovered about Reaktor ? And more widely about sound design ? I picked up Komplete 2 during my second year of high school. There was some big academic sale that happened near my birthday, and it seemed like it had everything in one box. It came with Reaktor 4. For the first few years, I only used the ensembles that came with it or from the User Library. Back then, I don’t think I really knew what I was doing! I would load random plug-ins and twiddle knobs until it sounded good. In college, I started to get more serious about sound design and DSP. I took a few classes on electronic music history and theory, and also did an independent study with a composition professor. My first User Library uploads were during this time. 3 – I saw on your website that you own a highly qualitative and technical background, from studies to work at various companies and today, you’re running your own company called “Unfiltered Audio”, can you tell us a little bit more about it ? Definitely! 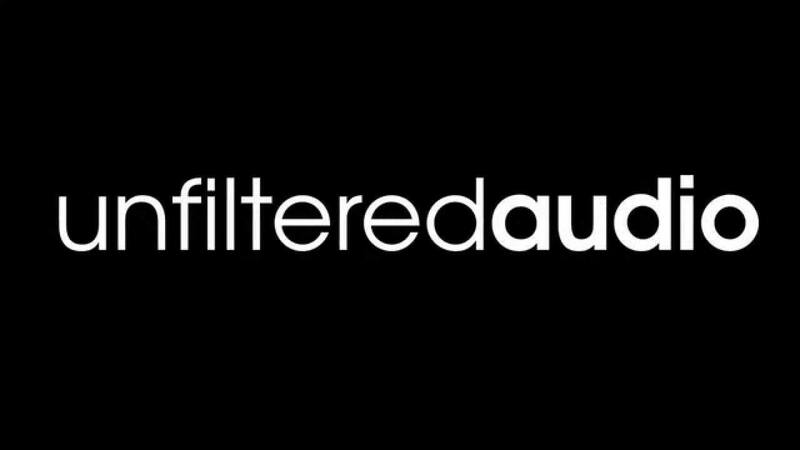 I started Unfiltered Audio (https://unfilteredaudio.com) with my friends Josh and Ryan. The three of us met in graduate school, in the Media Arts and Technology department at UC Santa Barbara. This department really shaped who I am today, as it was where I learned C++, along with a much more solid understanding of DSP. I’ve wanted to have a music software company since high school, but always felt like it was this weird daydream. During my second year of graduate school, I realized that I now had the exact skill set that I needed to pull it off. We initially started the company so that we could release Rack Extensions for Reason, as they were a new, exciting format. Since then, we’ve moved into VSTs and Audio Units, and are now producing AAX plug-ins as well. The three of us are musicians, composers, and researchers, so we are constantly coming up with ideas for things that we want to see in software. We have some very exciting stuff planned for 2016! 4 – You’ve been recently in the shining light of the Reaktor user library because you uploaded a very nice project called “Euro Reakt” that provides users of Reaktor with a truly arsenal of weapons for building blocks based ensembles, how did you came up with such a huge project ? During my first quarter of graduate school, I tackled a project called “Euromax,” which is a library of Max/MSP abstractions that have similar principles to “Euro Reakt”. I started this project as I personally wanted to have these tools to use, and I also wanted to have a good excuse to learn a number of DSP techniques. With Euro Reakt, those two goals are partially there. However, my primary goal now is education. I’m writing my dissertation on how to teach modular synthesis to students. I teach a modular synthesis class at UCSB with Curtis Roads, and it’s full of challenges. When Reaktor 6 came out, I knew right away that the easy-to-use Block interfaces combined with sample-accurate DSP would be a very useful tool for my students. Right now, students have to compete for studio time and are limited by what we have in our Eurorack system. 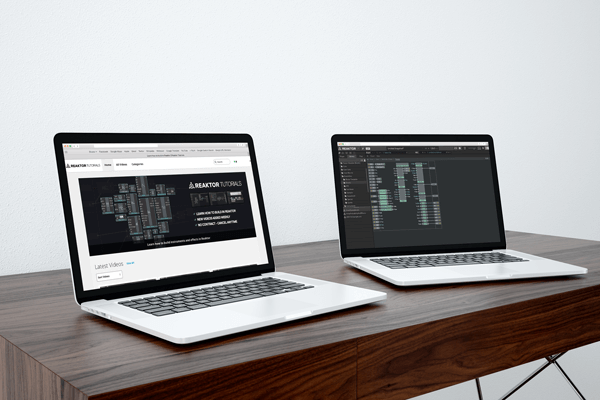 With Reaktor, every student can have a full modular on their laptop. 5 – With all these activities that are quite time consuming, do you still manage to release music ? If yes, where can we hear your productions? I try! I record under the name The February Thaw. I’m really hoping to finish an album one of these days. I post all of my finished pieces at https://soundcloud.com/the-february-thaw. Almost all of my work over the past two years has been made exclusively on a Eurorack modular system. I’m starting to bring more software back into my compositional workflow, as I now have a really good toolset with Reaktor 6. I’ve also recently started to perform live. 6 – I saw on the Reaktor forum that you posted a “To Do” list and you even welcome peoples suggestions / requests, so, what can we expect from you on the Reaktor platform in a near future ? At this point, I think I’ve taken care of most of the sequencing and logic Blocks that I really wanted for my own compositions. The essentials are there for oscillators and effects as well. I think the next step is to create more esoteric generators, including a lot of granular Blocks like Wavelet, Trainlet, Pulsar, etc. There are a lot of primitive DSP effects that I want to implement, like Schroeder reverbs, along with some more cutting-edge Blocks. I have, for instance, two Blocks that use oscillator techniques that I’m not sure have been implemented before. I’m writing some research papers on those before I publish the Blocks as part of Euro Reakt. Aside from Blocks, the main thing I’m working on is a textbook for my modular synthesis class. 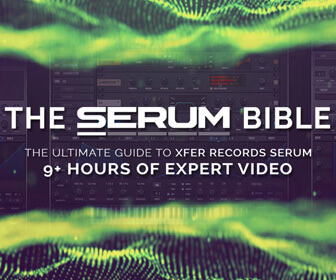 This book will tackle both composition and sound design techniques for modular synthesizers. A lot of the examples in the book will be implemented as Reaktor ensembles, as it gives the reader an easy way to experiment with a concept. 7 – A last one, what kind of advises could you offer to younger Reaktor builders ? Where to start ? How to approach things ? First off, start with Reaktor Primary. Core is a pretty difficult language to learn if you don’t have prior programming experience. Reaktor Primary is like working with audio Legos. The parts are pretty obvious (sawtooth oscillator, multi-mode filter, etc. ), and it’s easy to snap things together and start playing. Keep track of everything you don’t understand, and look it up later. For instance, you don’t need to fully understand how FM works to plug one oscillator’s output into another’s frequency input. However, you should still look up a few articles to fill in that knowledge gap. A huge mistake that rookie builders and programmers often make is that they want to focus all of their energy on building The One Big Synth that does everything. I highly recommend smaller projects early on. You can challenge yourself with more diverse knowledge. More importantly, if something goes horribly wrong, you won’t be discouraged by throwing away a small project and moving on to a different one. If you’re looking to gain more technical knowledge, I recommend The Audio Programming Book by Boulanger and Lazzarini. It teaches DSP and programming simultaneously, and is a great reference to students and professionals. For a more theoretical and historical book, I keep The Computer Music Tutorial by Curtis Roads next to my desk. I also really like both Will Pirkle books. His books are a favorite of my students, as he takes complicated DSP ideas (like how a low-pass filter works) and presents them in a very clean, straightforward manner. Thanks a lot Michael for offering of your time and huge efforts to the Reaktor community.